March 21, 2015 March 28, 2015 by Beau H.
Chambray shirt and red henley by GAP. Slim jeans by Bonobos. 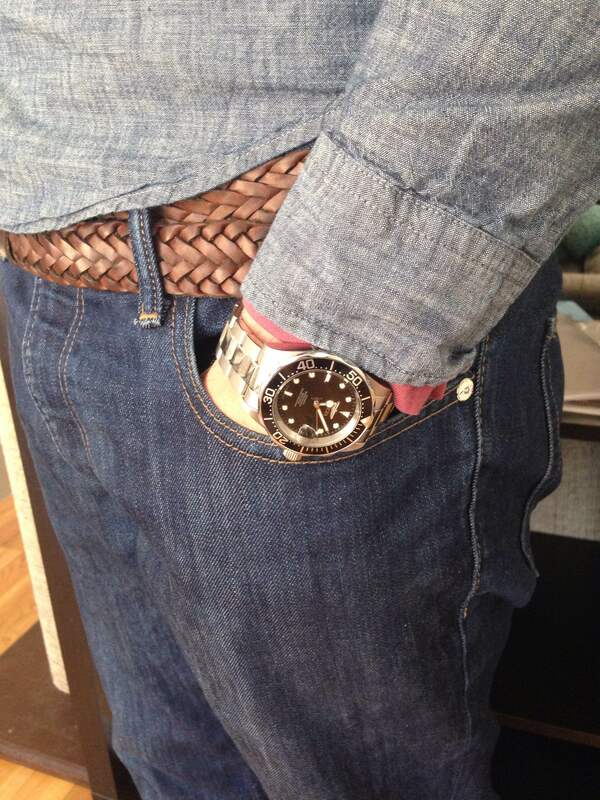 Watch by Invicta, Sneakers by Billy Reid for K-Swiss. Editor’s note: For more Style Picks of the Week, see here. This week’s Style Pick of the Week comes from a retailer that doesn’t necessarily get heaps of praise when it comes to guys’ style: GAP (or The Gap, if we’re going for that). Don’t be so quick to write them off — while they drew the ire of the media for their “Dress Normal” campaign this past fall, there are some key takeaways that can be gleaned from the brand. Namely, dressing “normal” isn’t such a bad thing — and great basics can be styled lots of different ways. The chambray shirt is the perfect epitome of that. Just one of the many ways to style Gap’s clean chambray shirt. Watch by Invicta. Braided leather belt by Target Merona. Dark jeans by Bonobos. Chambray is a fabric that’s as close to a four-season shirting option as a blue or white Oxford cloth button-down, especially in a medium-to-dark wash like the option seen here. The color pairs exceptionally well with deep blue denim and other four-season standards like khaki & olive chinos. It looks even better with other spring colors like washed-out reds, light greens, light grey and even darker shades of blue. It can easily be layered over lighter pieces, worn under a V-neck or navy crewneck sweater, or styled up with a wool tie and winter blazer. It’s also breathable enough to wear on its own or under a khaki or navy cotton jacket when it’s warm. It’s well within reach at full price and dips down into the $30 range on-sale. With spring well on the way, it’s prime time to snag one for yourself. 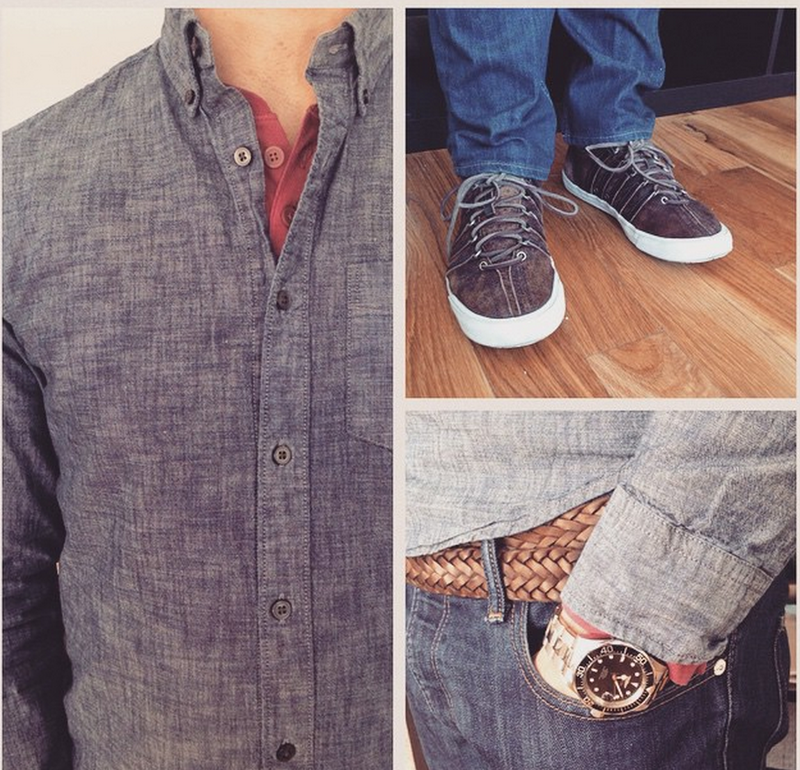 Do you have a chambray shirt in your rotation? Would you pick up this option here?